Mr. Ramey formerly served as General Counsel and Chief Administrative Officer of the Houston Livestock Show & Rodeo, and as Vice President of Legal for YRC Worldwide, Inc., a Fortune 500 Company (formerly Yellow Freight and Roadway). Mr. Ramey was responsible for leading the departments handling worldwide litigation, claims, risk management, and operational support, including contracts, mergers and acquisitions, compliance, and strategic projects. 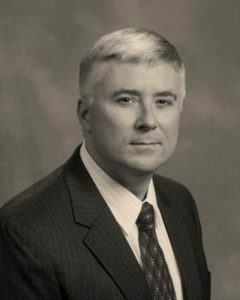 Mr. Ramey held previous in-house positions as Associate General Counsel of EGL, Inc., (now CEVA Logistics), and counsel with Baker Hughes and BHP Billiton. Mr. Ramey began his legal career in civil trial practice, serving a wide variety of clients in the energy, manufacturing, transportation, financial and other industries, successfully trying dozens of cases to jury verdict. Mr. Ramey has managed or represented clients’ interests with litigation, transactions and counseling in all 50 states and Puerto Rico, Canada, Mexico, Chile, China, South Africa, and the U.K. Mr. Ramey has extensive experience with the energy and mineral exploration and production industries, trucking and logistics, non-profits, real estate and construction, associated service companies, and has represented a full range of individuals and companies across all industries common to Texas. Successfully managed over eight hundred million dollars in reserved legal liabilities, and multi-million dollar legal budgets, producing substantial year over year improvement in legal fee and liability payments. Private practice providing litigation services, transactional support, and counsel for a wide range of large and small corporate clients in all phases of business. Mediated, arbitrated, and/or tried hundreds of disputes worldwide, and managed the handling of thousands more. Copyright © 2019 The Ramey Legal Group, PLLC. Powered by WordPress. Theme: Spacious by ThemeGrill.